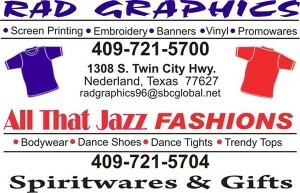 Beaumont and Southeast Texas Church Vendors – County Sign and Awning Provides Curb Appeal and Much, Much, More. The right Southeast Texas church sign can entertain, educate, inform, and it can definitely welcome and bring in visitors. County Sign and Awning (CSA) is a great example of what can happen in Southeast Texas if you have your priorities in a good place and focus on providing an excellent experience for each and every client. 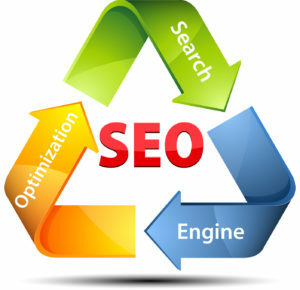 CSA was founded by Rick Drew in 2002. Rick had experience in the sign business going back to 1974 and later transitioned into construction management. 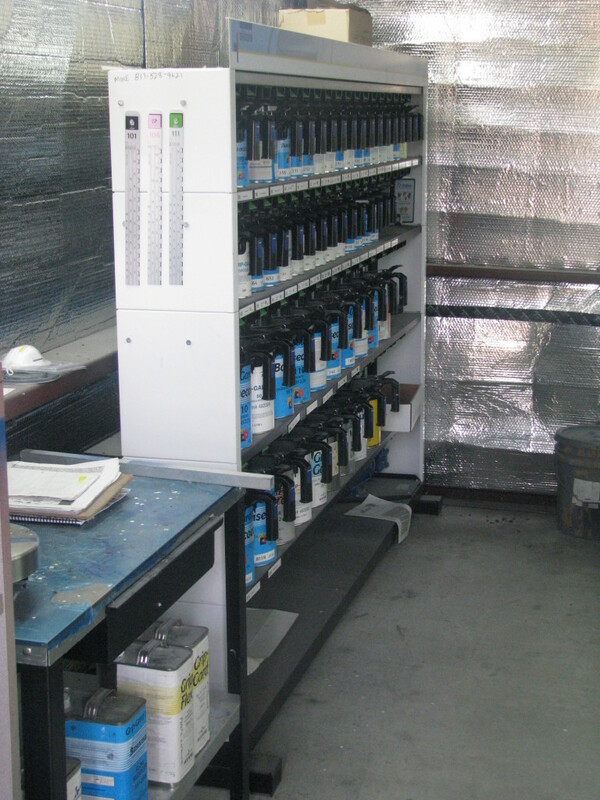 When his company required that he would need to transfer to New Jersey, he chose to stay in Southeast Texas to provide continuity for his children who were in junior high. He started his own sign business and worked for and received his Master Electrician’s certification. In no time, he had a brisk business serving churches and companies across Southeast Texas. Choosing to spend the extra focus and time on his kids all those years ago paid off; today they are a key part of Rick’s valued team of employees. Today, County Sign and Awning has a state of the art three-acre facility on FM 418 between Kountze and Silsbee with an office complex just over 8,000 square feet. Why all of the space? 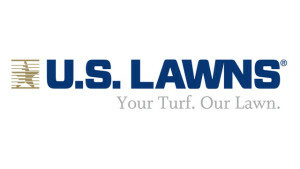 County Sign and Awning has become in demand across the commercial spectrum in Southeast Texas. 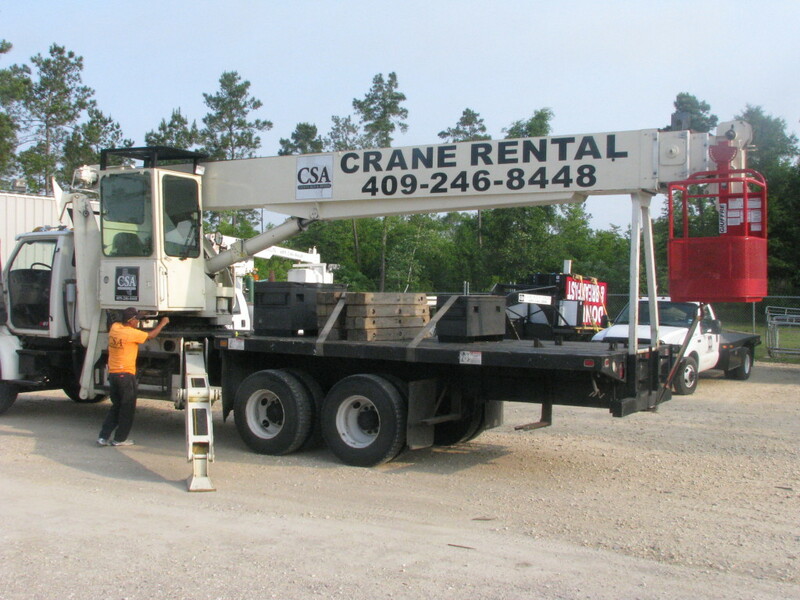 On any given day, their trucks and cranes will be working on restaurants, churches, industrial sites, government buildings, and retail sites. 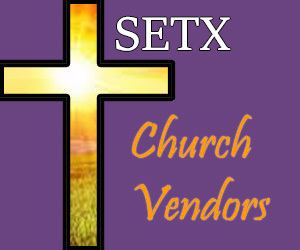 Good references from the SETX church community has made CSA something of a go to vendor for that sector. They have done sign work for Cornerstone Baptist Church of Kountze, First Baptist in Kountze, First Pentecostal Church Silsbee, New Covenant Assembly of God in Silsbee, and many others. 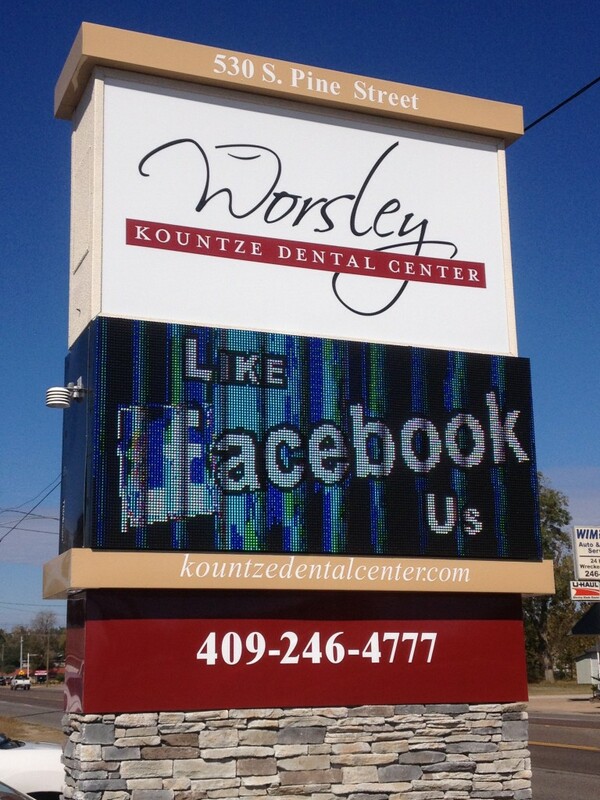 County Sign and Awning has had similar success in the commercial sector. You’ll see their work at the, Cowboy dealerships in Silsbee and Beaumont, at your local Community Bank branch, at the Southeast Texas State Fair, and across the Golden Triangle. 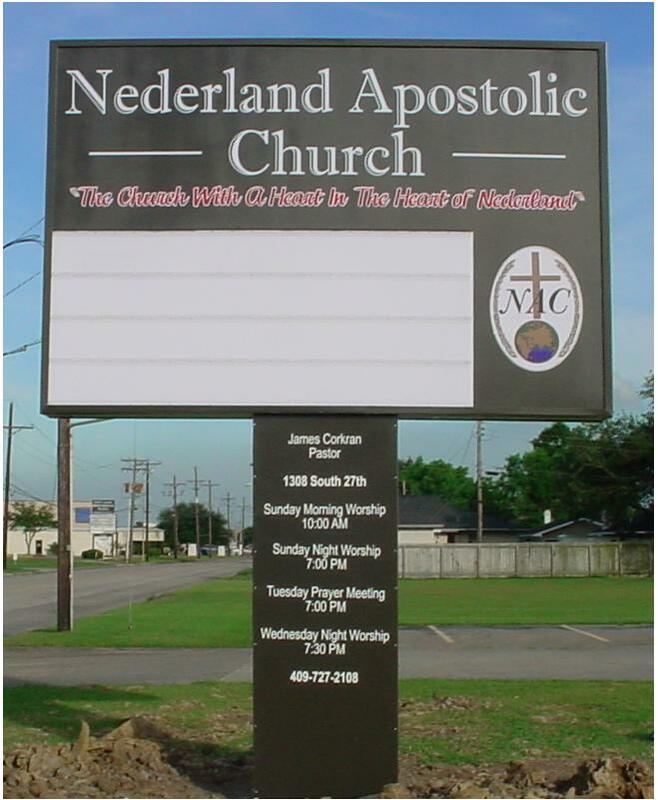 For many Southeast Texas churches, a professional sign is the first impression you make on a potential visitor. If you’re ready to make a statement, County Sign and Awning would love to help. We hope you have enjoyed today’s feature, Church Vendors for Beaumont & Southeast Texas: County Sign and Awning. 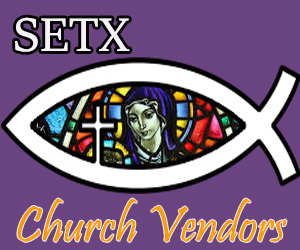 Are you looking for more Southeast Texas church vendors? 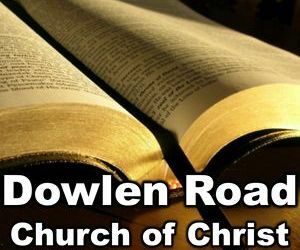 Stay tuned or click here for a list of Golden Triangle church vendors who would appreciate the opportunity to earn your business. We enjoy putting our SETX Church Guide spotlight on quality vendors that appreciate working with the Southeast Texas church community. 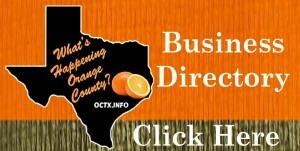 Would you like to have your business featured on SETX Church Guide?